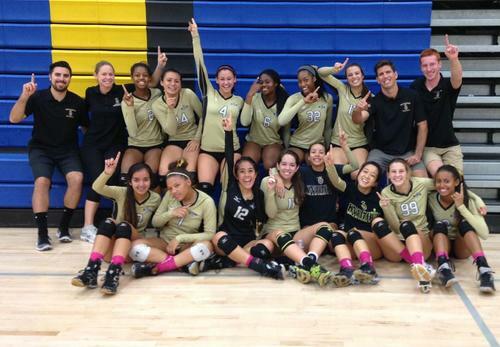 On Dec. 9, Bishop Montgomery’s Girls’ Volleyball announced their all-league teams at the Lady Knights’ fall banquet. Senior Tessa Allen, junior Jessica Seto, and sophomore Sydney Hall were named members of the First Team, while junior Tiffany Phillips and sophomore Madison Reynolds were named members of the Second Team. Senior Taylor Rudeen, the team captain, was named MVP that night as well. Although Rudeen will graduate this May and leave her beloved Lady Knights behind, it’s evident that she has given them the proper tools they need to achieve similar success in the future.